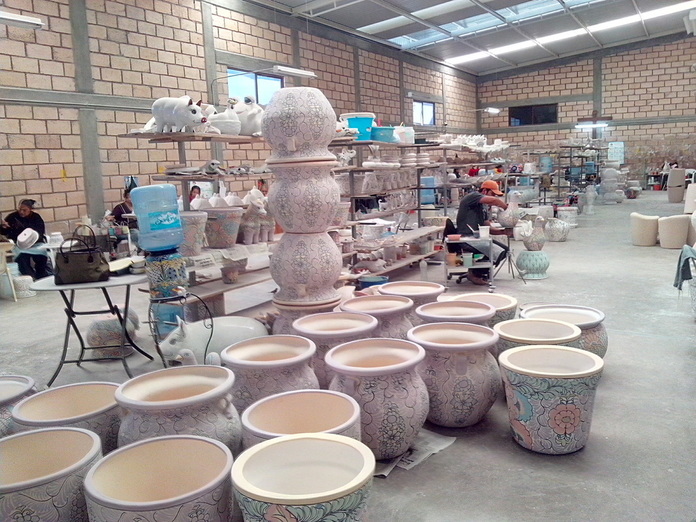 If you are interested in how local handcrafts are made, this tour is for you. We take you to visit the hidden and exclusive secret places where locals make wonderful handcrafts from woven textiles, wax candles, tin and brass, stainglass, talavera ceramics, papier mache, jewelry, glass engraving, pewter, blown glass, and sand-stone carvings. No groups to join in this month of October. Only private tours available any day you want. $40 USD per person. Two person minimum required. Flexible itinerary. Choose four workshops or studios of your preference to visit in three hours between 9am and 12pm. Our van picks you up at your home. The guide/driver is a very knowledgeable and trustworthy English speaking guide. Our guides are experts in history, architecture, archeology and art.